In the summer of 1970, Wendy Watson of Ambler was 19 years old and working as a musician, singing vocals with a small group. Partly to appreciate the music of others and partly to learn from watching their performances, she was invited to attend an outdoor, multi-day music concert. Today, 44 years later, she is now Wendy Wadsworth of Gilbertsville, mother of two adult children. But she is still singing and still attending the yearly Philadelphia Folk Festival, the largest volunteer-run celebration of folk music in the country. "As a musician, it was all about going and listening to music. We didn&apos;t camp or anything. It was just about going up for the day and hanging out," she recalls fondly. 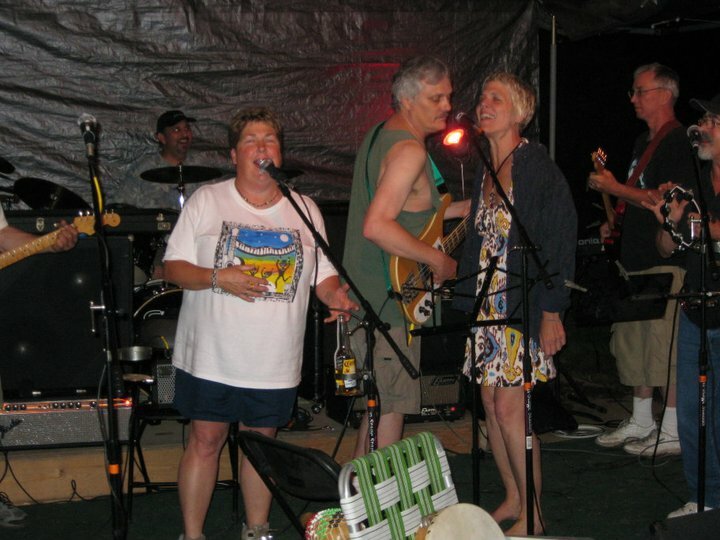 Over the years, she has enjoyed the live performances of Janis Ian, Derek Trucks, The Band (with Bob Dylan), David Bromberg, Pete Seeger, Bonnie Raitt and Jackson Browne. "The best part," Wadsworth says, "is that these performers were early in their careers. Some of them were just starting out. Everyone was young, and they were just there, doing their music." Following the upward arc of performers is still one of Wadsworth&apos;s pleasures of Fest, as it is called by its veteran attendees. "The music is excellent," she comments. "There&apos;s always someone who stands out for you. For me, last year, it was Carolina Chocolate Drops. They were great. I&apos;d never heard of them, and it&apos;s really neat when you meet a new group. And you&apos;re like, "Whoa, who are they?" And then you go buy their CD, and get turned onto their other music. Being a musician myself, it&apos;s a lot of fun to hear new music - especially young people coming up. I swing to jazz and blues, and I like that kind of music, but it&apos;s a lot of fun to branch out and listen to other styles." The Pursuit blog of August 5 provided a backstage look at the ongoing preparations for the concert, including the prep of the massive camping arrangements. Wadsworth has experience with overnights at Fest: "When we started camping, we always stayed in the quiet camp. We wanted to be able to leave the mayhem, even for a little bit. I remember attending when I was pregnant with Jenna [her daughter]. So the quiet time was appreciated." Even the rigors of new motherhood didn&apos;t stop Wadsworth from joining the crowds at Fest. "Jenna was with me at Fest when she was about six months old. I walked down into the grove with a chaise lounge and a cooler of water and opened up my chair and nursed her there because it was shady. Even with a baby, I wanted to be there for the day to listen to the music. "As my kids got older, Fest became a great place to hang out with them, let them experience the music, watch the juggling, do the crafts, enjoy the storytellers, and play in the creek - splash around and catch crawdaddies. It was all good." Wadsworth eventually crossed over from being a Fest fan to being a Fest volunteer. She joined the parking crew 25 years ago, and still donates her time there. "I&apos;m lucky if I get one day of music in because of the work," she says, describing her 3 a.m. to 6 a.m. Saturday shift. Despite the hours, she can still "...get an evening or morning concert in. And I get to eat at least one meal of the volunteer food, which is a must. The food for volunteers is an experience unto itself. You&apos;re never going to find anything like it anywhere else." A large-scale gathering like Fest produces its share of memorable moments over the long run. Wadsworth has had friends exchange official marriage vows at Old Pool Farm. She&apos;s also seen - and heard - some oddball things from tents. "I guess one of the coolest things I&apos;ve seen," she says, "was a guy who came with his trumpet. Every morning, he would play. It was always cool to wake up to. It&apos;s a good time." Safety is a primary concern for the organizers of Fest. Wadsworth had the misfortune to find out for herself just how attentive the medical staff can be when she suffered an unexpected reaction to a bee sting. Despite not being allergic, she became woozy, disoriented, and found it difficult to see, hear and breathe. She was immediately taken to an onsite physician and whisked away to a nearby hospital. "The group of medical volunteers saved my life that year. They really did. And I never got a chance to thank them. So for the record, I&apos;m thanking them now." As a Fest veteran, Wadsworth has worthwhile advice for new attendees: "If you&apos;re not a camper, don&apos;t camp. Just go and enjoy the ambiance of the music. Pick Saturday and into Saturday evening and enjoy Fest in small pieces." She continues: "Be patient with parking. It may be onsite, or it may be far away and involve a shuttle. Just roll with it." Wadsworth also recommends trips to the Dance Stage ("An awesome venue.") 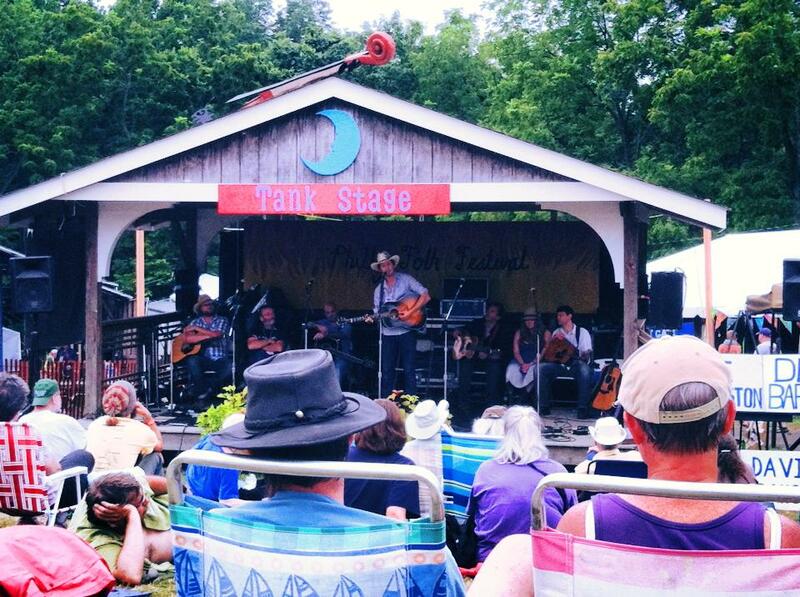 and the Tank Stage. Last, she highlights the family-friendly draw of the Fest schedule. "Go and learn to juggle," she recommends. "Folk Fest is where I learned to juggle and do devil sticks and the diablo. And I was in my 40s when I learned that. It&apos;s a good time. The kids have a blast. Some kids bring their bicycles and things on wheels and they&apos;ll start at one end of the campground and ride down to the bottom of the hill. And you see these kids just carrying on. The computers are left behind, and it would be nice if they had to do without their cellphones, too. But these kids get to be kids again. They get dirty. They get muddy. Doing things that they don&apos;t get to do anymore." If you want to attend the Philadelphia Folk Festival but be treated like a music superstar, take a luxury room in one of the recommended accommodations on our website. For a complete celebrity experience, you may want to dictate a meal of only green M&Ms, for example. The chefs at the Garden Grille & Bar are extremely service-oriented and will try to accommodate even the most exacting of special requests.